I have two exciting (or at least I think they are exciting!) posts coming up about my trip to London and Copenhagen. This week was spent catching up on work. I love vacations – who doesn’t – but I always gets anxious before I leave and as soon as I get back. Did I remember to hand off everything? Will I be coming back to 300 emails? Do I check my email while I’m on vacation to stay on top of the work load? I am guilty of checking my work email while I’m away, but am trying to be better about unplugging while on vacation. 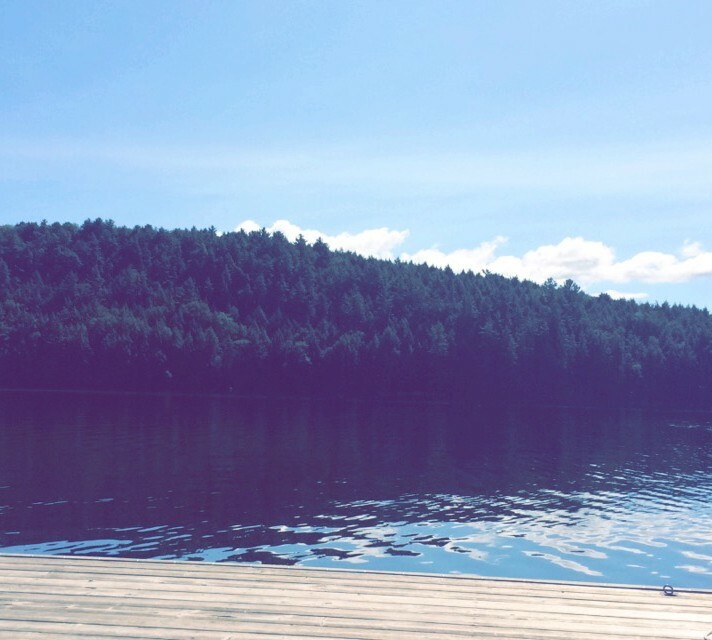 How do you unplug when you’re away from work? Below are a few of my favourites from the past two weeks. 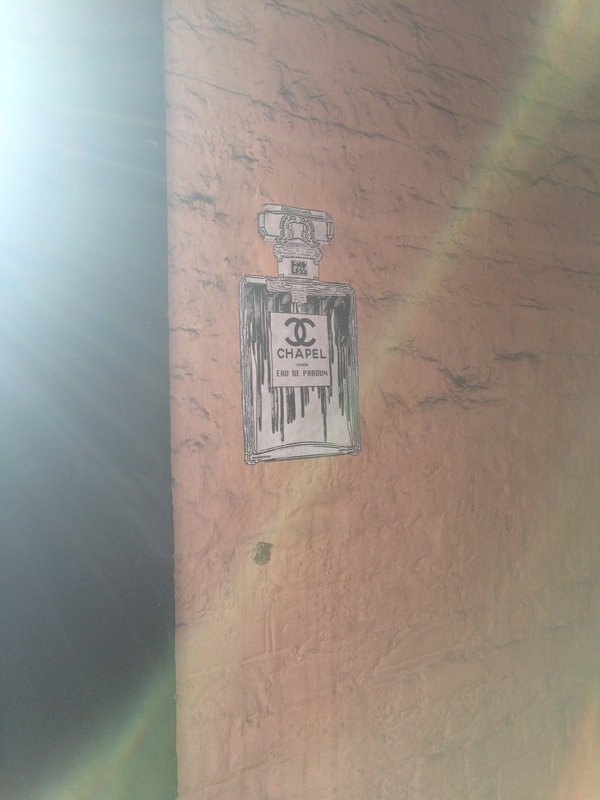 I came across this street art in London at the entrance to an alleyway. Not only do I love Chanel and perfume, but this was the alleyway that was used as the filming location for Knockturn Alley in a few of the Harry Potter films. I am a huge Harry Potter fan and was really excited to see this filming locations. While I was in Europe, this was one of my favourite meals – if you can call it that! It was really dessert, but I ate it for dinner – I walked a LOT while I was there so I figured I could cheat a little and eat dessert for dinner. 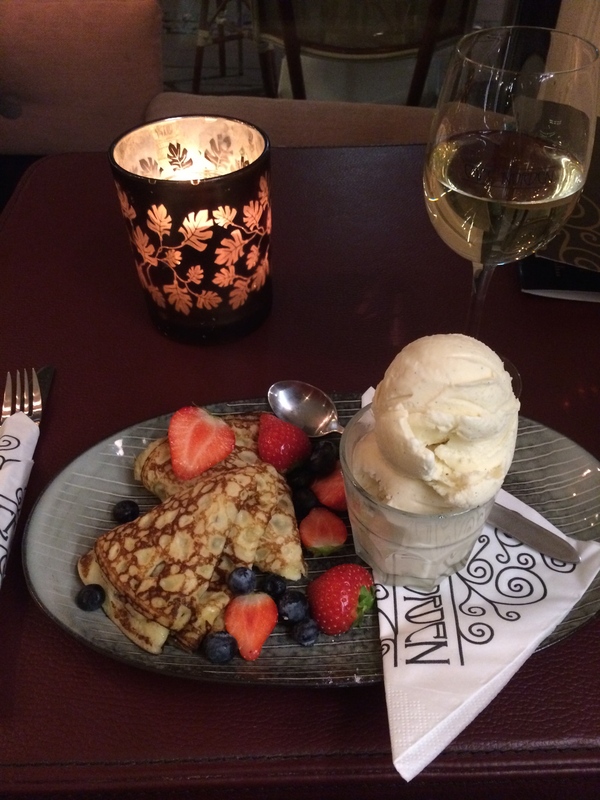 Crepes, ice cream, berries and wine, doesn’t really get better than that! This meal was at Cafe Norden in Copenhagen. The building was absolutely beautiful, the food was amazing and the decor was really modern and pretty. The worst part of a vacation for me is always the flight home. 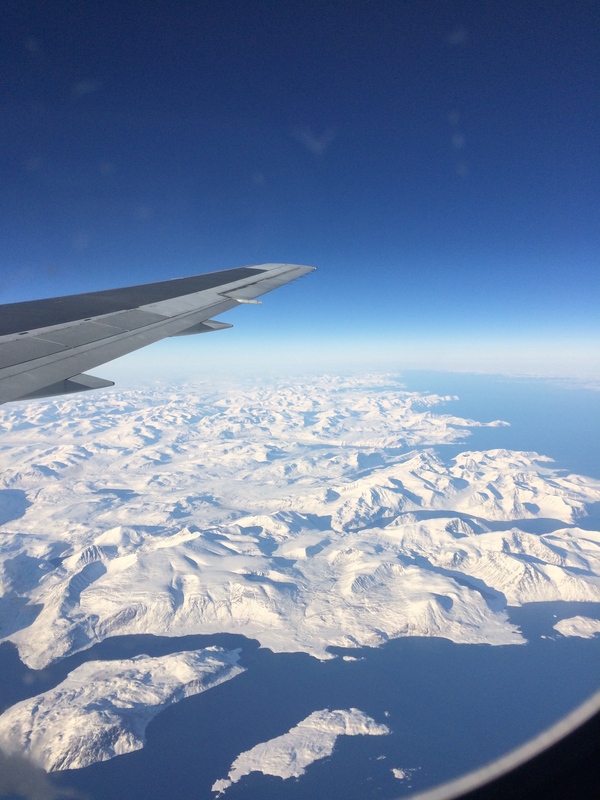 The flight from Copenhagen to Toronto was about nine hours. I read a book, and watched a hilarious movie, but the best part of the flight was this view. I took this picture as we flew over Labrador. It might be naive of me, but I had no idea that Labrador looked like that! It was breathtaking.